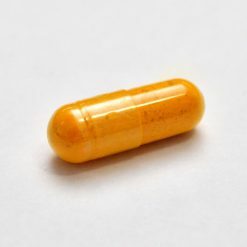 Curcumin derived from tumeric extract. 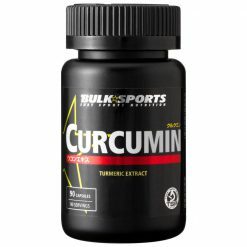 Bulk Sports Curcumin is a highly purified supplement derived from turmeric extract. It has been used for many years as a health supplement. It has even been used extensively by athletes to support recovery. In addition, it promotes health maintenance in athletes undergoing bodybuilding regimens. Bulk Sports Curcumin only uses raw materials sourced from India and developed by world-renowned institutions in the form of the patented C3 Complex ®. For an ideal liver supplement at a great cost value, consider the Liver Complete Stack containing LiverPro and curcumin set. Take 1 capsule per meal, for 1-3 meals daily. Compatible with Bioperine. We recommend that you use after exercise.